What is VPN in simple words? VPN is an acronym that stands for “virtual private network.” Simply put, it’s the number of computers connected by a network. However, the basic idea of the VPN is that it is not a real network such as the Internet; it is a virtual one. “Virtuality” here is very important. Let’s see what it means and how we, ordinary Internet users, may benefit from “virtuality.” We are in no way claiming to provide an academic description of this, but we will try to explain VPN in a language understandable to average users. In order to begin, let’s imagine the entire Internet–millions of computers, servers, and other various devices combined into one giant network without a single center. This network exists physically, in the form of wires connecting all the computers in this network. A virtual private network (VPN) does not have these physical components. All the computers and devices are connected to each other in a VPN; however, they do not have wires to arrange this connection. They use the same Internet to which they continue to be connected. They permeate this conventional internet with “tunnels” and are interconnected by these “tunnels” inside the regular internet. This is the “virtuality” of a VPN. Another important characteristic of the VPN is that the aforementioned “tunnels” are highly encrypted. Therefore, the VPN is invisible to all other participants of the internet, and it is not possible to intercept and read the data being transmitted within the VPN. There are myriad Virtual Private Networks on the internet, and they are used for different purposes. However, we will talk here only about those virtual networks that allow users to connect to them for a fee, and sometimes even for free. We will explain who needs them and why. 1. You do not want anyone to have access to the data you submit to the internet. 2. You do not want your ISP (Internet Service Provider) to know and log your internet activity. 3. You do not want various government agencies to track you and your actions on the internet (yes, they do it!). 4. You do not want various sites that you visit, and programs installed on your computer, to collect and send marketing information about you and about what you are doing on the internet (yes, they do it too!). Protection is the very essence of the VPN. When you are connected using a VPN, your computer or device becomes invisible to the rest of the internet. Bots, viruses, trojans and hackers which inhabit the internet simply cannot attack you, because you do not “exist” for them. If you are not using a VPN, you are especially vulnerable when you connect to the Internet via an open Wi-Fi network in the airport, coffee shop or any other public place. Because an open Wi-Fi network is unencrypted and unsecured, attackers may gain access to everything stored on your computer (e.g., important passwords) without any serious effort. They can even intercept your session with your online banking site and transfer your money to their accounts while you have your coffee. However, none of this is possible if you are connected to a VPN – for your attackers, both you and your connection do not exist. Whenever you are connected to the Internet, you are assigned an IP address–a numerical combination that is essentially similar to a regular street address. With an IP address, you can be tracked down as easily as with a regular street address. You will be amazed how much one can learn about you; just visit this page: http://addgadgets.com/IPaddress/. Many people do not like that level of access, so they use a VPN, which replaces their real IP addresses with the IP address of the gateway, which can be located in a different country. Some websites, such as Hulu Plus, Netflix, Amazon Prime, Vudu, CBS, Spotify, Pandora, and many others, first check your IP address. If you’re not in the U.S., for example, they prevent you from accessing their services. Therefore, many people use various VPNs based in the United States so that the above-mentioned services do not see your real IP address but instead see the one in the U.S. (that belongs to the VPN) and unblock your access. In fact, this is a serious headache for many Internet users, especially for U.S. citizens abroad. Imagine what a respectable American citizen traveling abroad must feel when he or she finds out that his or her access to movies and TV series (on Netflix, Hulu, or Amazon) has been blocked, even if it has been paid for in advance. The governments of some countries, the list of which is long enough, practice censorship of the Internet. They restrict access to many websites that have content they consider to be harmful. Depending on the country, this list may include Wikipedia, Facebook, YouTube, and even Google. Using VPN helps people to overcome such the restrictions. Savings on payments to Skype. If you are placing frequent calls to landlines in another country, for example, the U.S., Skype will charge you for their services, depending on what country you are in. However, calls to the U.S. will cost you much less, if your IP address is in the U.S. as well. So all you have to do is to connect to the VPN gateway in the United States. Internet service providers (the majority of them), for the sake of economy, do not provide their users with a static (fixed) IP address. Instead, they assign a new (dynamic) IP address randomly each time one reconnects. 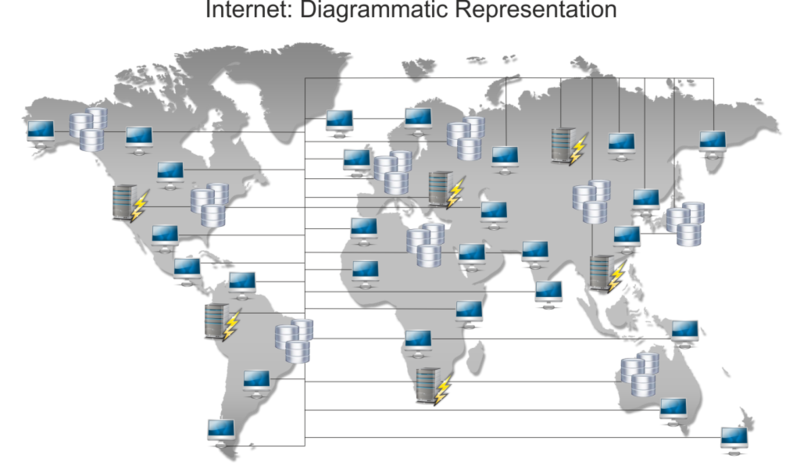 At the same time, a static IP is required to work with some applications, as well as for establishing remote desktop connections. Some VPN services provide their customers with static IP address service. On our site, you will find reviews of the leading VPN providers and detailed descriptions of the services they provide. We also tested them and provided the results of these tests, to ensure that you can choose the VPN provider that will meet your needs in the best manner and at the right price. You may do not want to waste your time reading reviews of VPN providers. You may not want to compare the parameters of different VPN providers that would help you choose the most suitable provider. You may not understand what should be given priority when choosing a VPN provider. You may feel that you may have some difficulty installing the software on your computer or device. We carefully analyze your needs. We choose the appropriate VPN provider that best meets these needs. We select a VPN price plan that works best for you so that you do not overpay for the service. We remotely help to install VPN client software on all of your computers and devices, regardless of their number. We understand that $59 is not cheap, but with VPN Assistance you can be sure that you will save much more with properly selected services and price plans, just like thousands of other customers who have trusted us. Fill out the form below to get VPN Assistance today!